Hi folks - excuse the noob question (I've searched and can't find an answer). 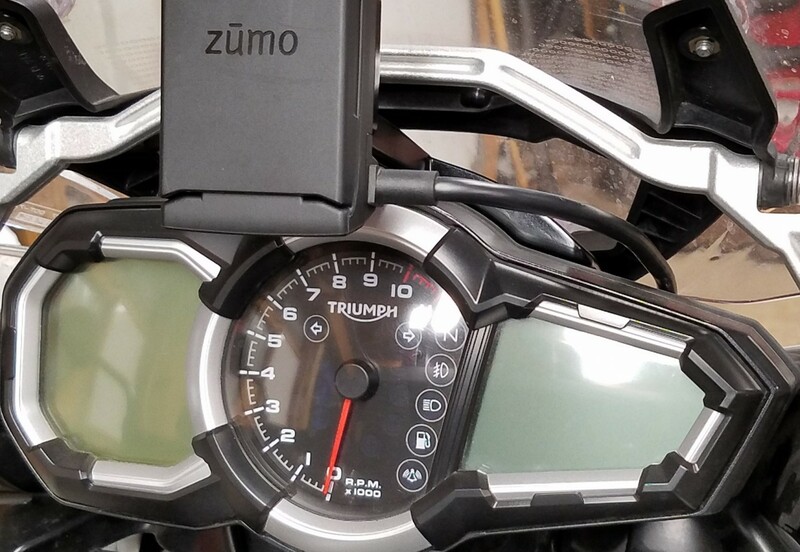 Re: Satnav bracket A9828022 for Zumo 395 ? yay - thanks Collier. Where did you bring the power from - I want the cable out of sight (as in sitting in the groove on the underside of the bracket).....just wondering. 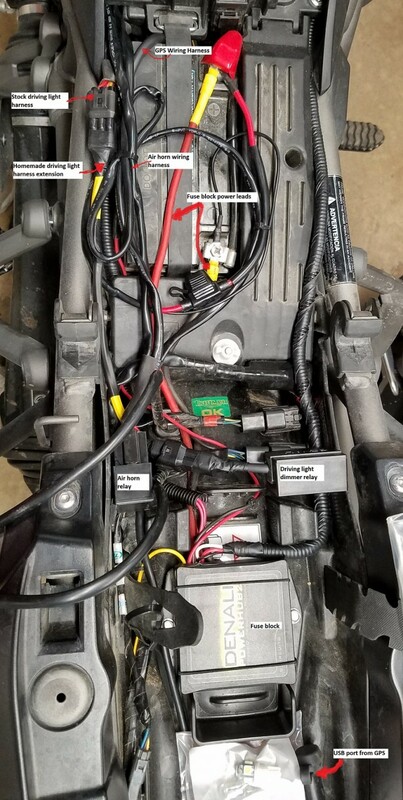 I ran the wiring harness for my 595 around the back of the instrument cluster, then under the plastic that covers the wires, cables and hoses at the front of the frame. Then under the tank and back to my fuse block. I clipped off the cables I knew I wasn't going to use to make the routing easier. I only kept the USB port (can't have too many of those) and the power leads. I had to make an extension cord for my Denali driving light dimmer relay- I could only use the seat in the low position with the relay on top of the battery. The the cable for the USB port from the GPS loops around the toolkit area. THANK YOU for the posts - bracket arrived and fitted no problem at all. Biggest problem was getting the cable round the side of the fuel tank, but easily sussed over a mug of finest yorkshire ! Works a treat and much better viewing position. Cheers again - help much appreciated.